This natural looking soap bar is scented with the perfect balance of sweet pear and ginger spice. 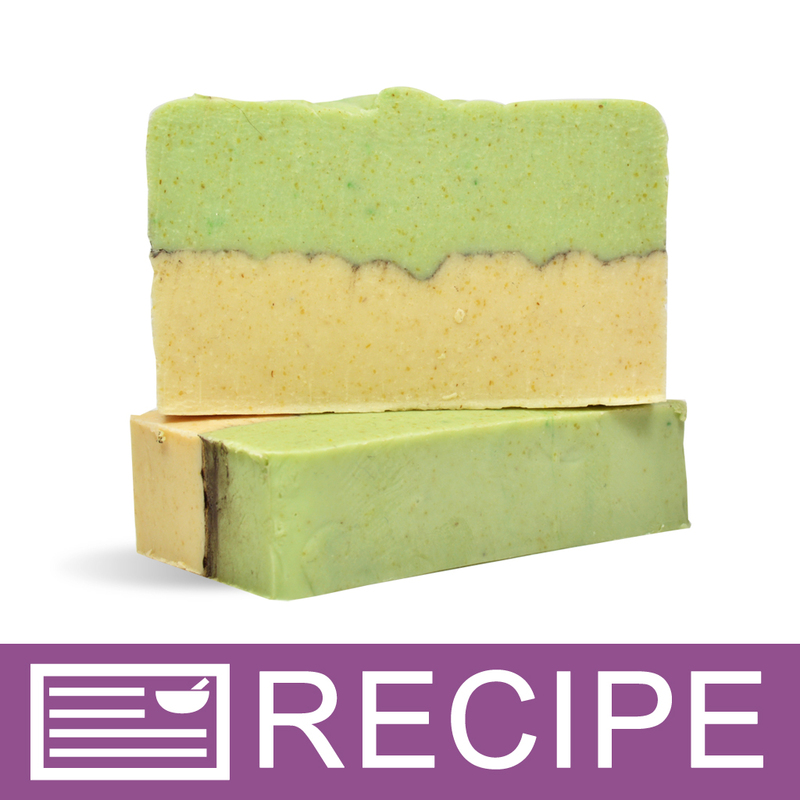 Lather with the aromas of ginger spice and sweet pear with the soap made from this melt and pour soap making project. Oatmeal glycerin soap is colored and molded to create this natural-looking soap. The kit comes with our most popular mold; gearing you up for future soap making projects! You Save $15.20 by purchasing this kit rather than buying the items separately. COMMENTS: This kit is so awesome! The Premium Oatmeal base is wonderful, it lathers like crazy! The scents included in the kit smell so nice and there's quite a bit left after making the kit so I can reuse the mold and have beautiful scents too. The pear is light and crisp and the Ginger Spice reminds me of gingerbread.i messed up on the mica line separating the layers but it still looks pretty good! I highly recommend this kit. • Not a single thing!